Choosing the Right Toothbrush: Does the Type of Toothbrush That I Use Matter? Whenever you went out to buy a new toothbrush in the past, you probably already wondered, does the type of toothbrush that I use matter in the long run? It’s a valid question; after all, this is a product you use to clean your teeth every day, so it stands to reason that you should choose a toothbrush that doesn’t hurt your gums, cause abrasions on your teeth or fail to clean properly. But there are also a few other issues regarding toothbrush selection that you might not have thought of. So let’s delve deeper into the problem, and find out what the very best answer might be in your specific case. Most dentists will agree with the fact that a soft bristled toothbrush can do wonders. This is mainly because the softer material will help remove debris and plaque from your teeth with greater ease. Small-headed soft bristle toothbrushes are the best, since they can more easily be maneuvered to reach all areas of the mouth, including some of the back teeth that can be harder to reach under normal circumstances. If you want to get a little more hi-tech, consider a powered electric toothbrush. It can finish the job faster, and it won’t require as much energy and effort as a normal toothbrush would. Moreover, with a reliable electric toothbrush you can do a much more efficient job cleaning your teeth, even if you lack the dexterity required to use the more classic cleaning methods. It’s also a good idea to keep track of the type of handle that you should use. While the shape of the handle is less important, as long as it helps you get to all areas of the teeth structure, make sure you get features such as a non-slip grip and a flexible neck. Finally, an important tip is that you should always try to get a toothbrush that’s more or less personalized to your brushing habits and to your comfort. Choose from bristle styles such as flat, trimmed or rippled according to what feels best, and select between a tapered or rectangular head. There really isn’t a definite rule to follow regarding these details. Why Does the Type of Toothbrush You Use Matter? The main reason why it matters what type of toothbrush you use is that the right brush will give you the level of efficiency you need to keep debris, plaque and bacteria away from your teeth. With the help of a suitable toothbrush, you can make sure you reach everywhere with ease, including between your teeth. The right bristles will firmly but gently clean your teeth and reach your gums without harming them. Moreover, with an easy to manage handle, you can get the whole job done without any comfort-related issues. 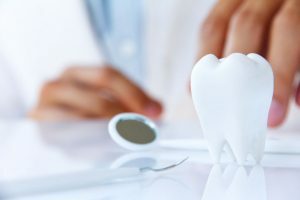 Although choosing the best toothbrush is seemingly not as important as selecting a new toothpaste or going to your regular Lakewood CO dentist visits, it definitely carries a lot of weight. The question “does the type of toothbrush that I use matter” is one that we all should ask at some point; and with the answers given above, we really can’t go wrong.